Selling a unit is a different proposition to selling a house, particularly in the current market where there is an increased supply of stock available. That means potential sellers need to pay attention to how they present their unit and how they market it to ensure it stands out from the crowd. If you’re considering selling a unit, here’s what you need to know. Many sellers often believe renovations and improvements are the best way to achieve a sale and good price for their unit, but in the current market that is not necessarily where their attention should lie. Instead, sellers should focus on refreshing any tired areas and then dedicate the balance of their improvement budget to marketing. Good marketing allows your unit to attract attention and get prospective buyers through the doors, and in a market where there is lots of stock available, drawing a crowd is a big factor in whether the unit will sell. Meanwhile, many astute buyers are willing to make their own improvements and alterations, rather than paying more to have them done by the previous owner. In a competitive market, you need an agent who understands the playing field and how to present your unit to the widest audience. At United Strata Solutions, we specialise in units and boast 20 years real estate experience. That means we have a unique insight into what stock is currently available, where. We also have a solid understanding of the benefits that unit living can offer buyers, which allows us to play to your unit’s strengths. To effectively market a unit in a weakening property landscape, you need to play unit living and your particular property to its strengths. Whether that’s convenience, affordability, proximity to amenities or minimum maintenance requirements, it’s about presenting unit living as the ideal lifestyle and your specific unit as the very best option. If your unit is an ideal investment property due to its proximity to universities, highlight this fact. If it’s suited to retirees or downsizers because it’s a ground floor unit, make this feature known. All these little strengths add up to differentiate your property from others in a similar price bracket. The more information you make available to prospective buyers, the easier it is for them to make a quick and favourable decision about buying your property, especially if they’re comparing it to a similar unit elsewhere. Where possible, gather information in advance, such as common property boundaries, body corporate costs, and floorplans to facilitate an easy decision-making process. Although major renovations may not be required, it is important your unit puts its best foot forward at inspections. 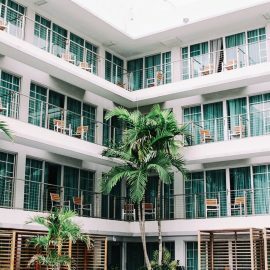 Simple acts like de-cluttering, adding plants and flowers, and opening doors and windows to allow light and fresh air to stream in can make your unit more appealing and memorable to prospective buyers. This helps you stand out in their minds when comparing it to other similar properties. 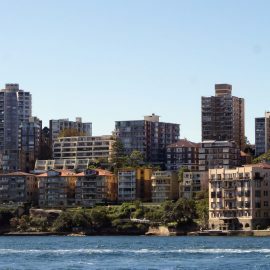 United Strata Solutions is a NSW-based company with over 20 years real estate experience and specialist expertise in strata management and unit sales.